During the winter, it is a challenge for birds to find sufficient food to survive; natural food sources are limited. 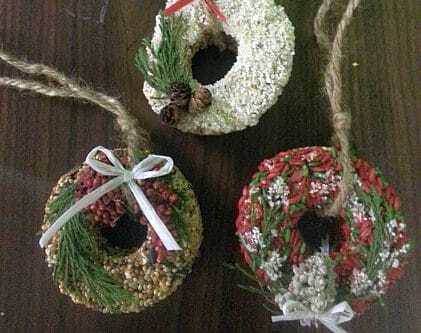 Make several natural “ornaments” for birds that you can use to decorate outdoor trees. Please bring a container for your ornaments. ALLERGY ALERT: Nuts are used in these projects. Additional Information: Registration with payment for this program is required by December 6, 2018.